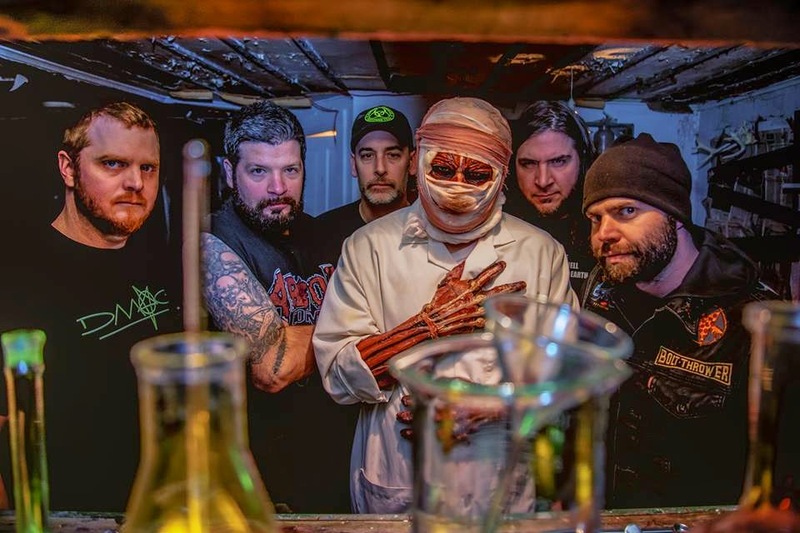 New York metallers Skinless are back! Almost nine years have passed since we heard their latest studio recording "Trample the Weak, Hurdle the Dead" fortunately for us, fans of old-school death metal, they surprised us with this album "Only the Ruthless Remain" through the label Relapse Records, it is their fifth full length album and brings together their original line-up Noah Carpenter, Bob Beaulac, Joe Keyser, Sherwood Webber and the first time adding a second guitarist Dave Matthews known by his job in (Held Under & Incontinence). Unquestionably this is an absolute and brutal discharge right in your face, since the opener track "Serpenticide" this guys offer us their most pure and heaviest riff within the genre, this is the kind of death metal you had been craving for, guitars sound sharpened while the bass holds a lower tone behind the guitars, there are slightly nuances of progressive influence that can be heard, followed by the self titled track "Only the Ruthless Remain" it keeps up with the strength and brutality offered in the previous track with excellent throat-tearing vocals by Webber, "Skinless" take us trough a melt of growls, blast beats and striking guitars, they know how to handle smooth transitions between slow paced, mid pace and of course their brutal fast parts, "Flamethrower" appeals to be the thrasher track in this album, the guitars are powerful filled of wrath, infernal screams make this cut one of the most enjoyable, "The Beast Smells Blood" a track fast and ulcerating crushing drums that put you one foot from the brink, wrenching guitars that lead to an exceptional guitar solo next is one of my favorites "Funeral Curse" feels dense pack in rawness again they play outstanding paced through the cut, the closing track "Barbaric Proclivity" mesmerizing drums give way to forceful guitars to shred your guts, growling vocals that match the intensity of this cut. Personally I think this album shows up their musicianship and put together a lot of their expertise crafting a demolishing record as a comeback, It seems to be true what is says, the good things are given over time in a small dose, I am glad to be able to listen to this band again, despite the long time they knew how to forge their way back, Skinless are here, don't you dare ignore them if you're an old school death metal fan you have to prove yourself.